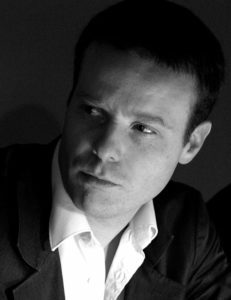 Best known for his best-selling and prize-winning novels, Tom McCarthy is also a critic, installation artist, and cultural theorist. His first novel Men In Space was internationally acclaimed alongside Remainder, which won the Believer Prize in 2008 and established his reputation as a standard-bearer of the avant-garde. (In her essay “Two Paths for the Novel“, Zadie Smith anointed Remainder as one of the paths). The novel was in due course adapted for film by Omer Fast. C won the Windham-Campbell award (2013) and Satin Island won the Goldsmiths Prize (2015). Both novels were shortlisted for the Man Booker Prize. Tintin and the Secret of Literature explored Hergé’s work through the prism of structuralist and post-structuralist literary theory. His two other books, popular with students for whom his novels are required reading, contain some of the essays he has written for a wide variety of print publications including Guardian, Independent, London Review of Books, TLS, and Another Magazine. He is also known for the reports, manifestos and media interventions that he has made as General Secretary of the International Necronautical Society (INS), a semi-fictitious avant-garde network. In 2018 he was on the jury for the Turner Prize.